Erakor Island Resort and Spa is situated on 16 acres of unspoilt island paradise and surrounded by white sand beaches and crystal clear waters. 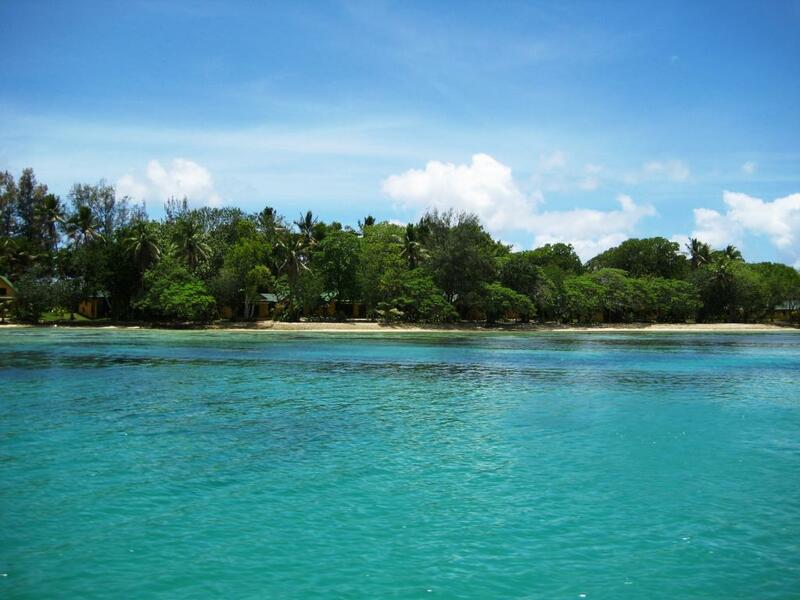 This Vanuatu accommodation offers seclusion without isolation, as the resort is a short ferry ride to shops, restaurants and downtown Port Vila. 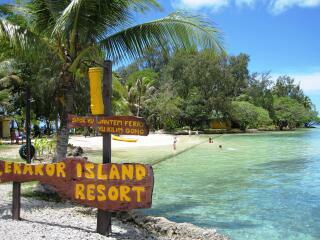 Erakor Island Resort is a great destination for your next family or romantic Vanuatu holiday. Erakor Island Resort and Spa features unique garden and waterfront villas set amongst tropical palm trees, offering spectacular views and the sounds of water lapping at the shore. 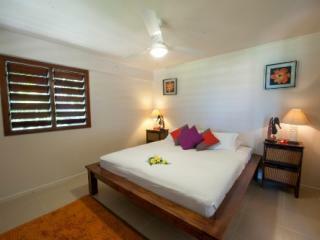 Escape from reality to total relaxation, as there are no televisions or phones in most of the rooms. 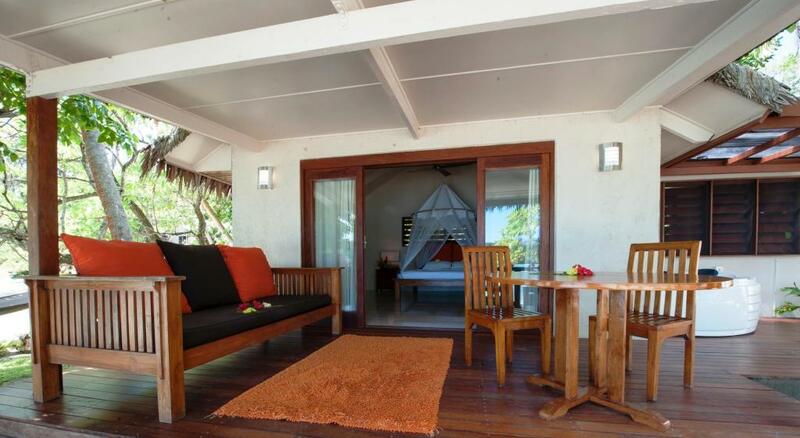 This means that you can simply relax and enjoy the natural surroundings from your private balcony. Erakor Island Resort is only minutes from the mainland by free on demand ferry and just 5 minutes to Port Vila. Kayak, sail, swim or snorkel straight off the beach, enjoy a treatment in the day spa, or relax with a cocktail or freshly-squeezed fruit juice under a shady palm tree near the beach. 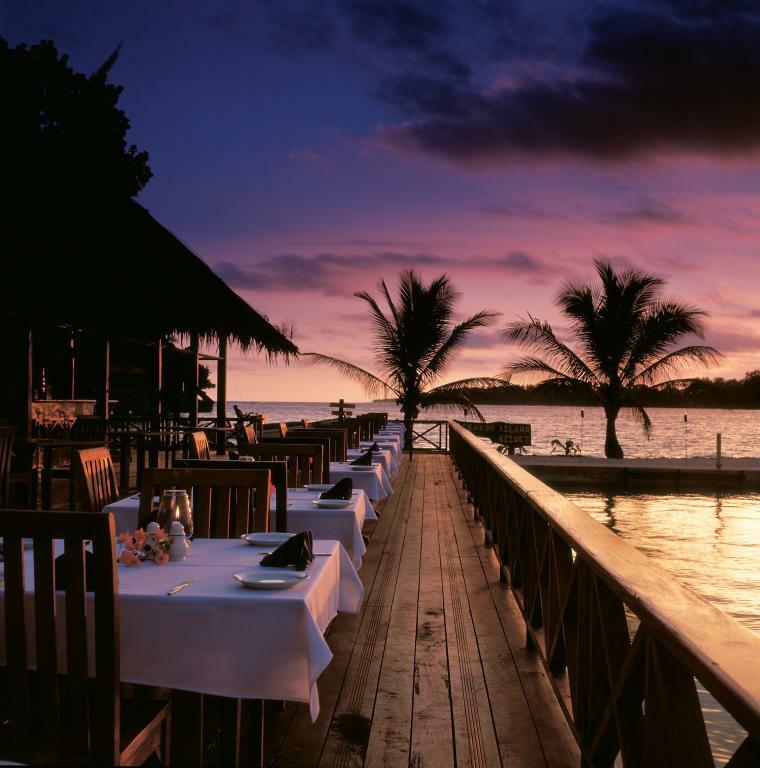 This Vanuatu resort offers all the facilities of a major resort but in a relaxed and secluded atmosphere of its own making this an ideal Vanuatu island holiday. 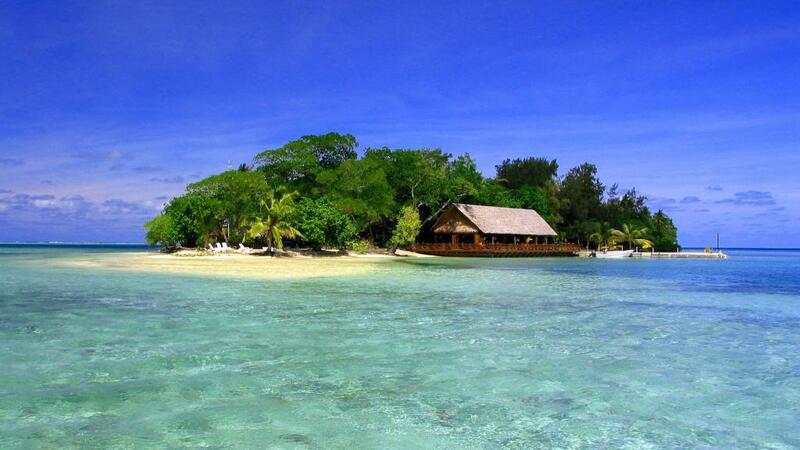 The resort has 22 villas in total, all with absolute water frontage. 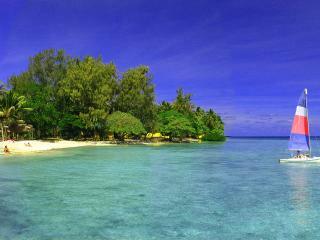 To compliment the tranquility of the island, most rooms do not feature telephones or televisions. 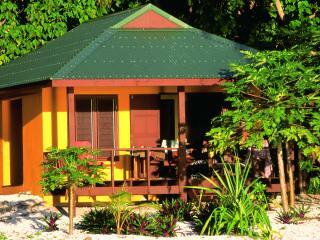 There are several different styles of accommodation on Erakor Island Resort as mentioned below. Garden Room: Bedding is 1 Queen Bed OR 2 Single Beds. Maximum room capacity is 2 Adults & Children. 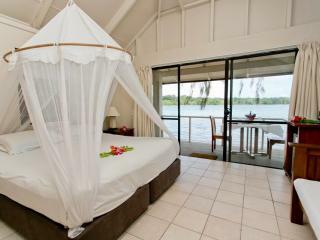 Lagoon Villa: Bedding is 1 King Bed + 1 Single Daybed OR 2 Single Beds + 1 Single Daybed. Maximum room capacity is 3 Adults OR 2 Adults & 2 Children OR 3 Adults & 1 Child. Garden 2 Bedroom: Bedding is 1 Queen Bed + 2 Single Beds OR 4 Single Beds. Maximum room capacity is 5 Adults & Children. 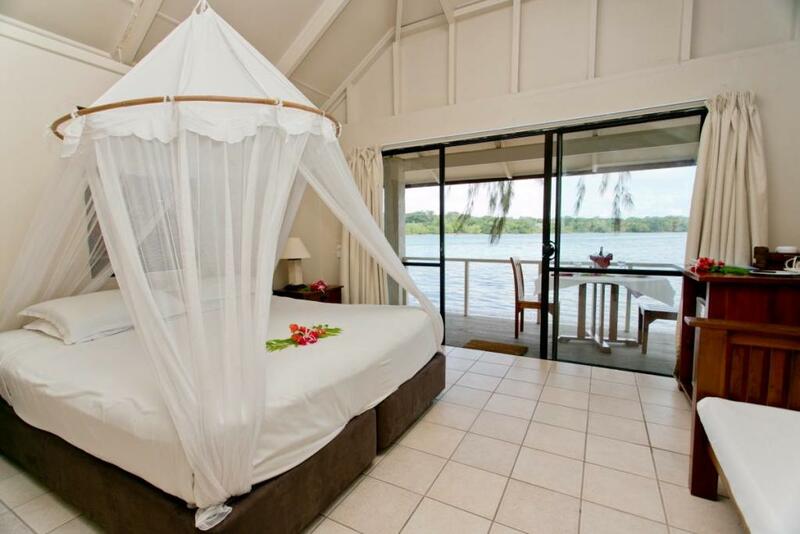 Honeymoon Pool Villa: Features a spa bath. Bedding is 1 King Bed + 1 Day Bed + 1 Single Trundle Bed. No extra beds. Maximum room capacity is 2 Adults or 2 Adults + 2 Children. Honeymoon Deluxe Pool Villa: Featuring your own private plunge pool, this villa is perfect for couples after a spacious yet secluded escape. Bedding is 1 King Bed + 1 Day Bed + 1 Single Trundle Bed. No extra beds. Maximum room capacity is 2 Adults or 2 Adults + 2 Children. 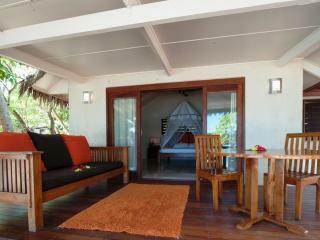 Beachfront Family Loft Villa: This room type is not recommended for children under 5 years due to the stairs. Bedding is 1 King Bed + 1 Single Daybed + 2 Single Beds OR 2nd King Bed. Maximum room capacity is 6 Adults & Children. 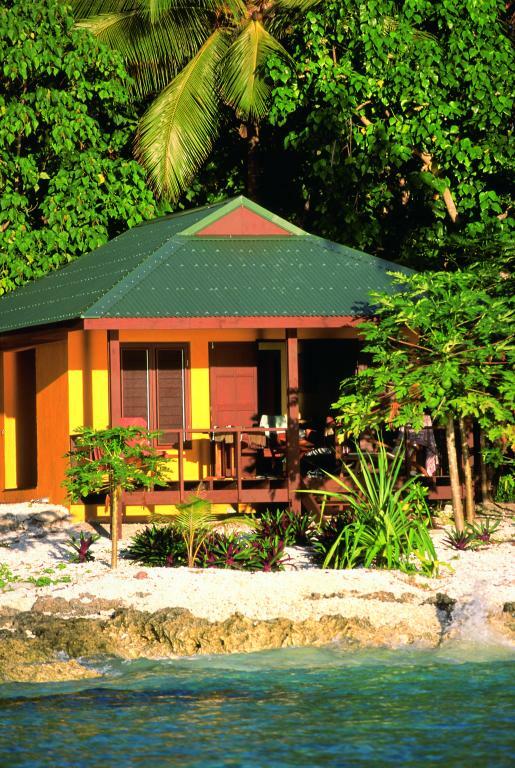 Beachfront Deluxe Spa Villa: Features a spa bath. Bedding is 1 King Bed. Maximum room capacity is 2 Adults & Children. 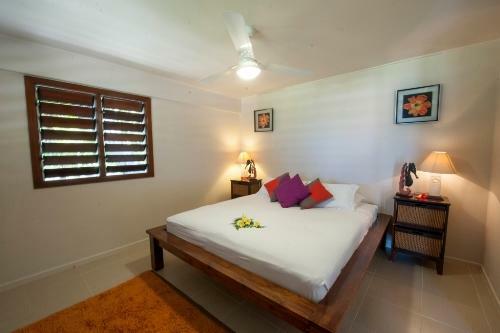 Sunset 2 Bedroom Loft Villa: This room type is not recommended for children under 5 years due to the stairs. Bedding is 1 Queen Bed + 3 Single Beds + 1 King Bed OR 2 Single Beds on mezzanine level. Maximum room capacity is 7 Adults & Children. 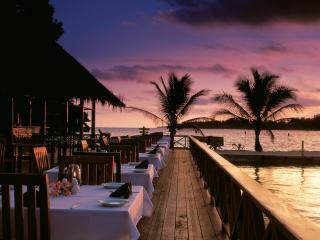 Aqua on Erakor Restaurant: The restaurant overhangs the clear waters of the Erakor Lagoon. 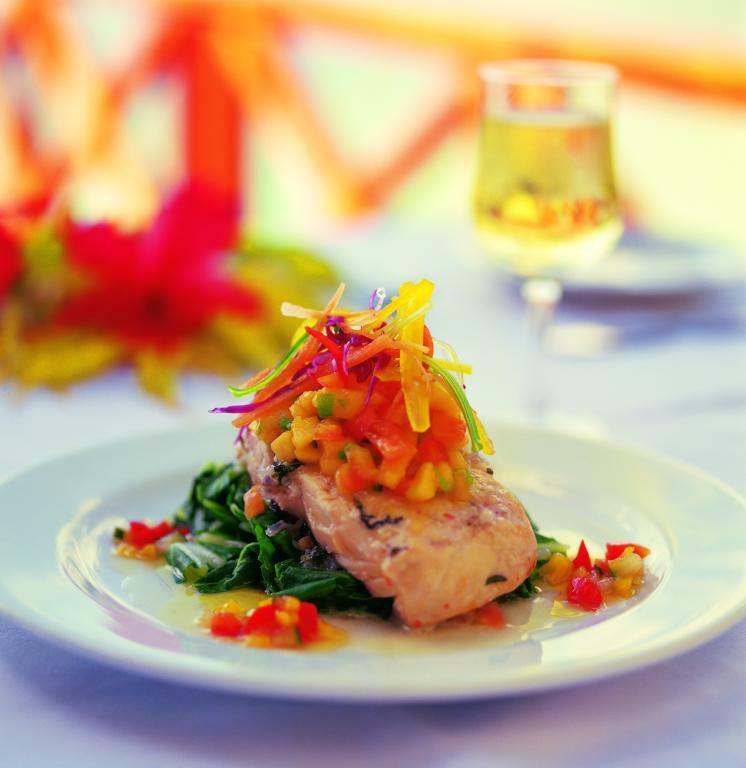 Guests can dine under the stars and enjoy meals prepared by the international chef, the menu features fresh local seafood and Santo Beef. Aqua on Erakor Restaurant is open for buffet Breakfast and lunch is a cafe style menu as well as lunch specials. 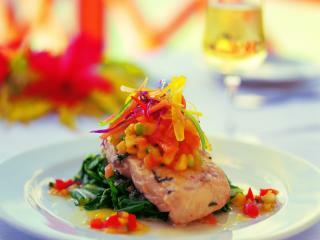 A full a la carte menu and nightly specials are available for dinner. Calypso's Beach Bar & Cafe: Grab a refreshing juice, light lunch or snack, fresh fruit or ice-cream. The Calypso Beach Crew will deliver your order right to your sun lounge! Erakor Island Spa has many treatments to choose from to relax and refresh. 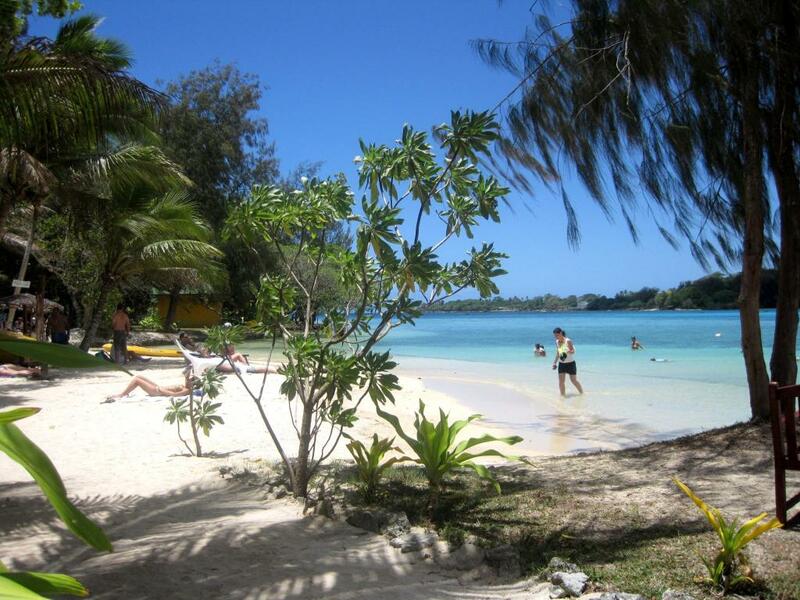 Try one of their natural treatments with ingredients grown in Vanuatu. Relaxation massages include Swedish, Sport, Aromatherapy and Acupressure as well as healing energy work and body treatments. 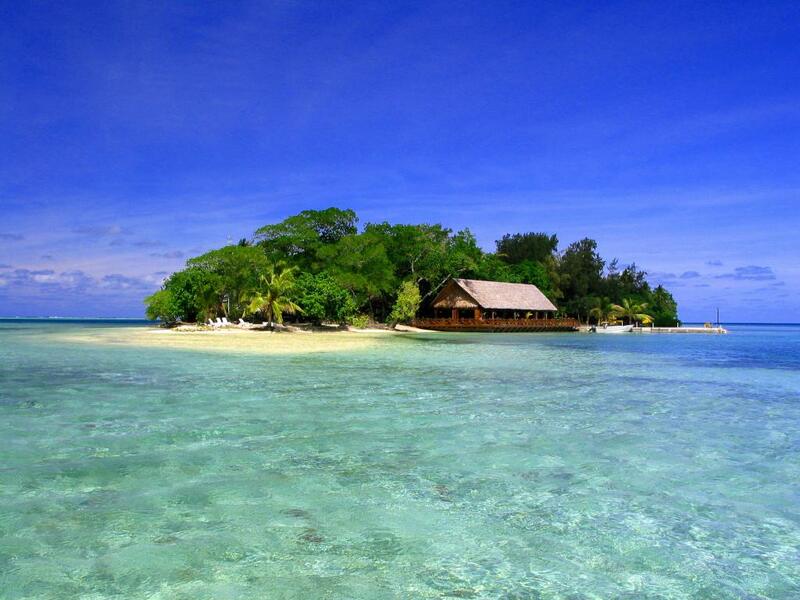 Erakor Island Resort and Spa also has its very own open air chapel renowned for being one of the oldest in the South Pacific. 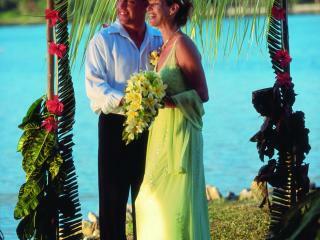 Erakor Island Resort & Spa offers a base wedding package that provides you with legal marriage license and certificate, Ni-Vanuatu pastor or celebrant, Wedding location tropical floral decoration and bouquet and buttonhole for the Bride & Groom. 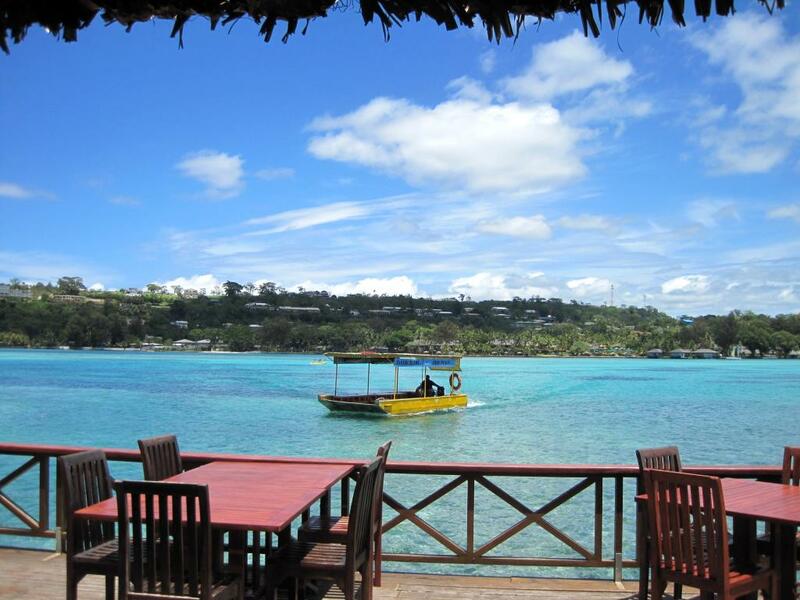 From here you can choose from an extensive list of optional extras such as native children's choir, a Melanesian string band or you can arrive by water in a flower laden canoe. Your wedding can be as detailed or as simple as you wish. Please see Instant Quote for prices and details.